The dog-days of summer are approaching and outdoor adventurers are looking for an opportunity to get an adrenaline rush while staying cool. 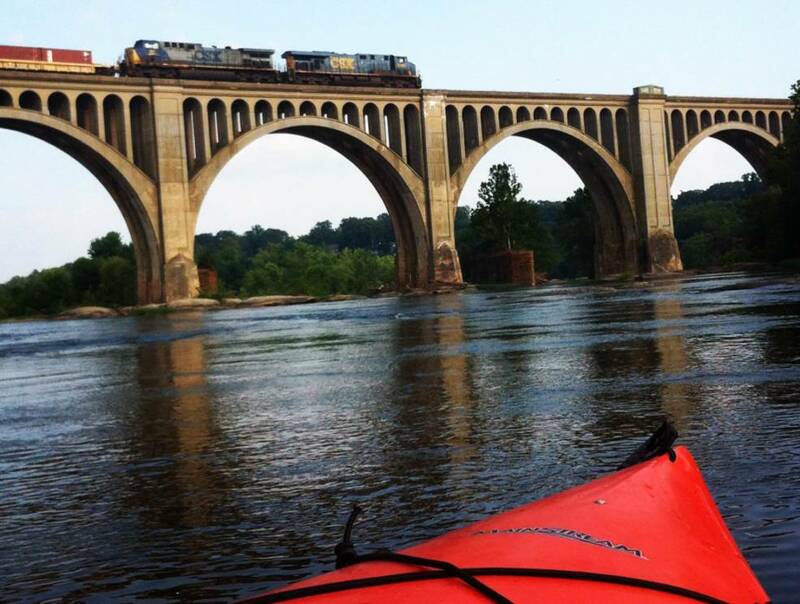 The Richmond region is full of great kayaking spots, taking advantage of numerous accessible bodies of water in the area, and companies to get you out on the water. Located along the James River near Riverside Drive, directly across the Huguenot bridge, this popular kayaking spot has easy wood ramp access, as well as numerous options of where to paddle, either downstream to Williams Island, upstream to Bosher’s Dam (the only intact river wide dam on the James in the Richmond Region), or further downstream to Pony Pasture. This popular “put-in” in the City of Richmond is not for the faint of heart – it is recommended only for advanced paddlers, or at least a kayaker with lots of experience or a guide at a minimum. Get ready to take on Class II, III, and IV whitewater while conquering the Hollywood and Pipeline rapids! Spanning 810 acres of woods, wetlands, water, and more in Chester, VA, the Dutch Gap Conservatory offers paddlers a calm 2.5 mile loop along the Lagoon Water Trail. “Put – in” at the peninsula dock and float the flatwater through the wetlands, looping around the buoys for distance markers. A great excursion for beginners! With seasonal outpost on Brown&apos;s Island, and a permanent location on Westham Road, Riverside Outfitters can have you out on the flats on a Stand Up Kayak in a few minutes or take you and a group down the James on a fully-guided, half day rafting tour. RVA Paddlesports primary focus is kayak instruction. If you want to learn how to paddle the urban rapids in the Richmond Region, RVA Paddlesports has you covered with everything from comprehensive lessons to weekly roll clinics to focus on skill building.